Hi, nice newsletter by the way, I was wondering if you could help me. I have never been a runner but have decided on joining the British Army. I need to be able to run 1.5 miles in under 11 minutes for assesment. I am currenly doing it in 13.30. Are there any tips that would help me gain on that time. I am running around 2 miles four times a week, but just can't seem to get any faster. Shaving off two minutes is quite a bit, but nothing is impossible. Running two miles four times per week is a good start. I am not sure how long you have been doing this. But if you have been doing it for a longer time, then your body has probably gotten quite used to this routine, meaning that your performance will not improve much anymore. Therefore, what I recommend you do is to increase your mileage. Why? Well, just imagine you'd be able to run five miles. How easy would a 1.5 mile run be then? When increasing your mileage you increase the risk of injury, so make sure you do it safely. Also see my page about increasing mileage safely. 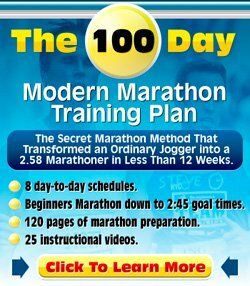 Given your limited running experience to date I think that you'd benefit most from only increasing your mileage, not increasing your pace (in your training runs). So, I'd keep on running at an easy pace for most of your runs, but possibly add one tempo session per week as well. Hope this helps you get to your goals. Best of luck with the running training. like the comment i am running a 1.5 mile run for my army selection and i am currently running 1.7 miles every other day but i can't get my time under 11:50 and i must complete it under 11:30 any tips? Do some more and faster work. You are pretty close to your goal time. You are currently running 1.7 miles every other day. I would suggest making every other workouts slower and longer, e.g. start off with making them 2.5 miles, then 3, then 3.5 etc. Also see Increasing Mileage Safely. Then for the other workouts, make them a bit faster, like tempo runs or intervals. Break up your current routine with stuff that is longer to increase your stamina and stuff that is faster to build up your speed. Do this consistently and you will be able to bring down that 1.5 mile time considerably. 8 min 50! That's a pretty good time.